NA’AMAT is planning a campaign and a public struggle to improve the status and employment terms of the caregivers (Metaplot) in our day care centers. The salaries of the caregivers are fixed by the government ministry. Most of them earn minimum wage. Below is a letter from Galia Wolloch, President of NA’AMAT, that was sent to the parents in all our day care centers around the country. The parents appreciate very much the work, love and caring of our Metaplot. They support our struggle. We all stand together for this important and justified cause. We wish to inform you that in recent months, Na’amat has been in contact with the various government entities with the objective of bringing about an improvement in the status and employment terms of daycare center caregivers (metaplot). To our regret, and in spite of all our attempts to conduct meaningful discourse, we are forced to admit that at this stage, our efforts have not born fruit, and that we have been unsuccessful in reaching any significant understanding that will even slightly rectify the ongoing injustice being done to our dedicated caregivers. You, the parents, are familiar with and know better than everyone else how great the responsibility placed on daycare center employees is. Day in and day out, they educate, care for, embrace, smile, feed, cook, clean, watch over and look after your children as if they were their own. The daycare center caregivers, in whose hands you place your most precious possessions every morning, are doing difficult and exhausting holy work, and they do it with love, professionalism and dedication. Therefore, we can no longer settle for the current situation. 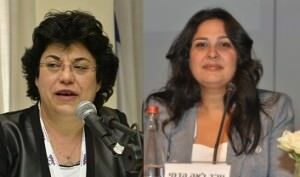 For these women – and no less importantly – for you and for your children, Na’amat intends to begin taking measures for a battle vis-à-vis the Ministries of Economy and Finance in order to bring about a real and necessary change in the employment conditions of the daycare center caregivers – both in wages and personnel positions. We shall do everything we can in order to prevent disruptions in the centers’ activity, but together with this, it is our intention to do whatever is required to reach the objective of improving the status of daycare center caregivers and their employment conditions. We thank for your support and trust that you will stand beside our caregivers as they embrace your children.